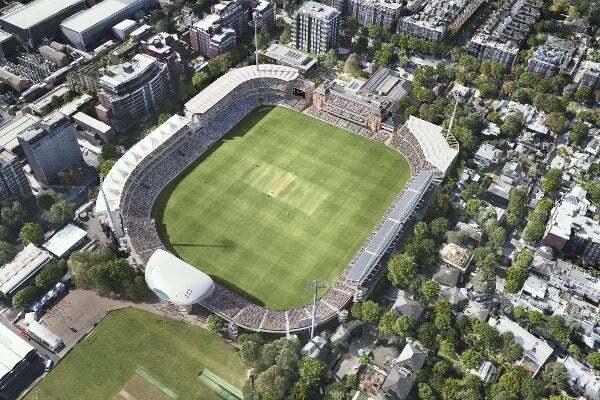 The South-Western project marks the second phase of redevelopment of Lord’s Cricket Ground that is led by Marylebone Cricket Club’s (MCC) master plan. Image: courtesy of Populous. Tavern and Allen stands will be replaced by a single stand to increase the ground’s total capacity to 30,000. Image: courtesy of Populous. Entrance area around the Grace Gates will be revamped to exhibit an enhanced public space and landscape. Image: courtesy of Populous. Populous has been selected as the design architect for the project. Image: courtesy of Populous. The South-Western Project marks the second phase of redevelopment of Lord’s Cricket Ground, which is led by Marylebone Cricket Club’s (MCC) master plan, and is the biggest project at the Pavilion end of the ground. The internationally renowned cricket ground is located in St John’s Wood in the city of Westminster, between St John’s Wood Road and Wellington Road. Redevelopment efforts consist of revamping four existing buildings, including the Tavern and Allen Stands, and a partial refurbishment of the Grade II-listed Pavilion and Bowlers’ Annexe. Westminster City Council approved the project on 27 October 2015. Populous was selected as the design architect for the £80m ($122.6m) project. Construction of the project is scheduled to begin by September 2016 and will be completed in 2019, in time to host the Ashes Test Match and ICC Cricket World Cup games. The redevelopment was conceived to maintain the high standards of the cricket ground to ensure its status as a world-class venue for cricket tournaments. "The redevelopment is aimed at improving and modernising amenities for spectators, visitors and staff at the cricket ground." The master plan for the redevelopment of London’s premiere international cricket venue was unveiled in 2013 by MCC. It lists out a phased development for the cricket ground. The redevelopment is aimed at improving and modernising amenities for spectators, visitors and staff at the cricket ground. It includes the replacement of five stands, which are the Warner, Tavern, Allen, Compton and Edrich, providing updated match officials and players areas, new banqueting, retail and MCC office space, and major improvements to entrances of the ground. Phase one of the master plan encompassed the development of the Warner stand and upgrading to a new stand with a capacity of 2,656 seats from 600 seats. Construction on phase one began in September 2015 after obtaining planning permission in 2014. The South-Western Project involves replacing the Tavern and Allen stands, two additional Pavilion extensions, office and banqueting facilities in a revamped Thomas Lord Suite, an upgrade to the Tavern Pub, movement of the Grace Gates and new offices adjacent to the Memorial Block. Work at the pavilion will include reorganising and enlarging the dressing rooms and creating space for team management, physiotherapy and officials. An office, physio room and female toilet between two dressing rooms in a corridor will be renovated to create accommodation for team management and a players’ gym. The Thomas Lord building will be renovated to feature a street-facing reception, a banqueting suite with 300 covers and offices for MCC staff. The basement of the Thomas Lord building will extend under the Harris Gardens creating an enlarged space with service access, enabling vehicles to make deliveries directly to catering facilities. The Tavern Pub will offer views into the Harris Garden and the street. A two-storey building will be constructed to replace a single-storey structure at the Harris Garden and will be equipped with a garden-facing bar and dressing rooms to accommodate squash and tennis players. An entrance area around the Grace Gates will be revamped to exhibit an enhanced public space and landscape. It will feature a decorative metalwork entrance screen equipped with panels that revolve to become entrance gates on match days. Embassy Gardens is part of the Nine Elms district development, which is aimed at regenerating London’s South Bank. The two stands will be replaced by a single stand to increase the capacity by an additional 1,500 seats, increasing the ground’s total capacity to 30,000. The new stand will have 5,200 seats, 18 hospitality boxes and two restaurants with 250 and 150 covers respectively. It will also feature covered bar concourses overlooking the pitch, retail space and spectator facilities throughout. A large electronic display board and a floodlight mast, as well as a new scorers’ box will be incorporated in the stand’s design. The project is estimated to cost £80m ($122.6m), with approximately £46m ($70.5m) earmarked for the new stand and basement. Funds for the project will be arranged from multiple sources that include operating cash flow, renewal of existing debentures, and new funds generated from the incremental capacity and facilities.